REDUCED! SKI IN. SKI OUT. 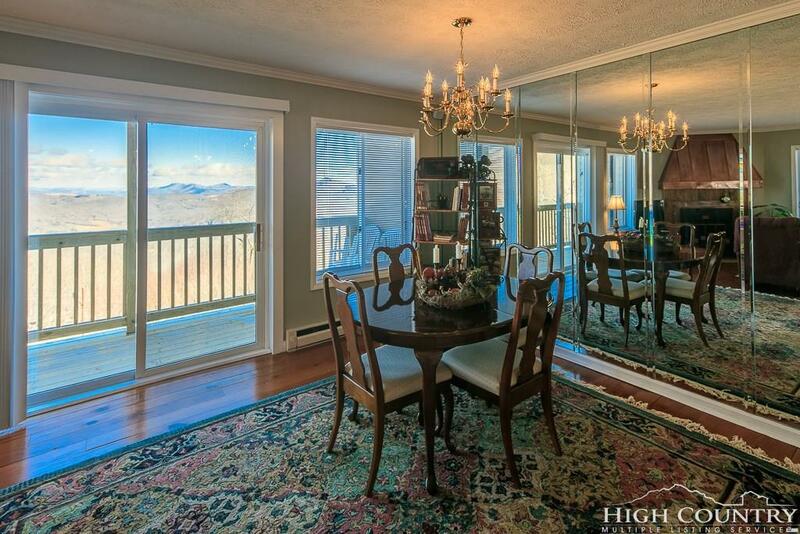 Beautiful turn-key 2 bedroom slope side condo at the top of Sugar Mountain has been updated several times. Youll love the big double windows (exclusive to this property) providing mountain and slope vistas from living, dining and master bedroom. 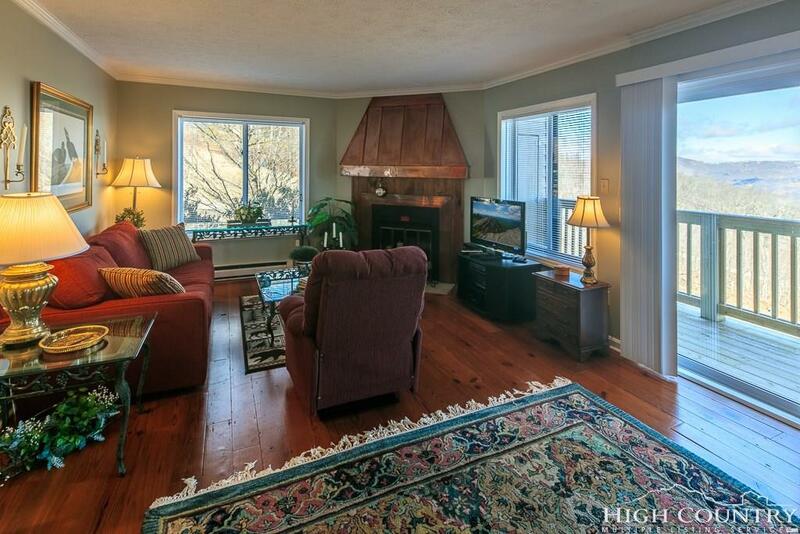 The copper clad wood burning fireplace, 100-year old Heart Pine flooring in living areas and hallway + sunny kitchen with full cabinets and tiled counter surfaces. Pictures tell a compelling story. Updated bathrooms, ceramic tile flooring, crown molding, designer fans and fixtures, mirrored closet doors and beveled glass wall in the dining area. 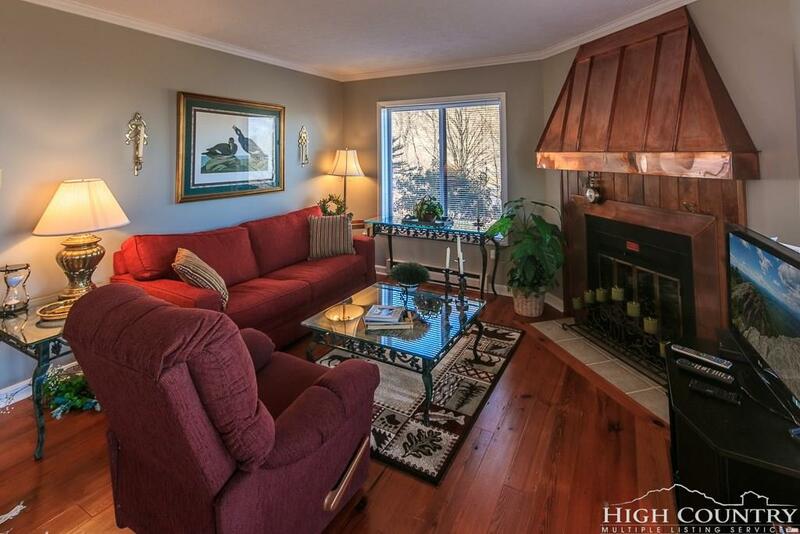 Furnishings are perfect; condo never rented but would make a great rental. New sliding doors, windows and deck. New clubhouse and pool plans finalized! The association plans to break ground in the spring. 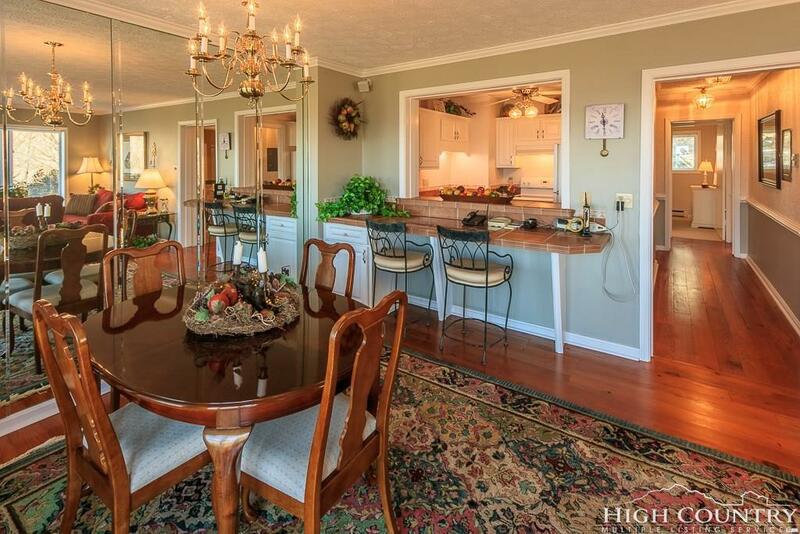 This special retreat at Sugar Ski & Country Club is a first floor end unit with no view obstruction. A convenient driveway provides near level entry to unload grocery and gear. Long term parking on the side of the building avoids stairs. Monthly fee covers most expenses! Close all resort amenities, shopping, dining and entertainment. Best yet, no assessments to pay.